Welcome to Fron Caravan Park website. We hope you find the website useful and informative in making your holiday decision. The website contains comprehensive details of the park however should you have any further questions please do not hesitate to contact us. Fron Caravan Park is situated on the south western tip of Anglesey just outside the village of Brynsiencyn on the A4080. It consists of 5 acres of closely mown grass with facilities centrally located around a typical Anglesey farmhouse. The park has been owned and run by the Geldard family for 37 years, it is a quiet, friendly, family orientated park. Booking is essential for bank holidays and main school holidays as demand is always high. If you wish to check availability or make a booking then please telephone 01248 430310 during office hours (9am to 7pm). If you email to check availability please be aware you may not get an immediate response. The park consists of 51 seasonal caravan pitches, 6 touring caravan pitches and 4 motorcaravan pitches in two areas of approximately 2.5 acres either side of the main house. 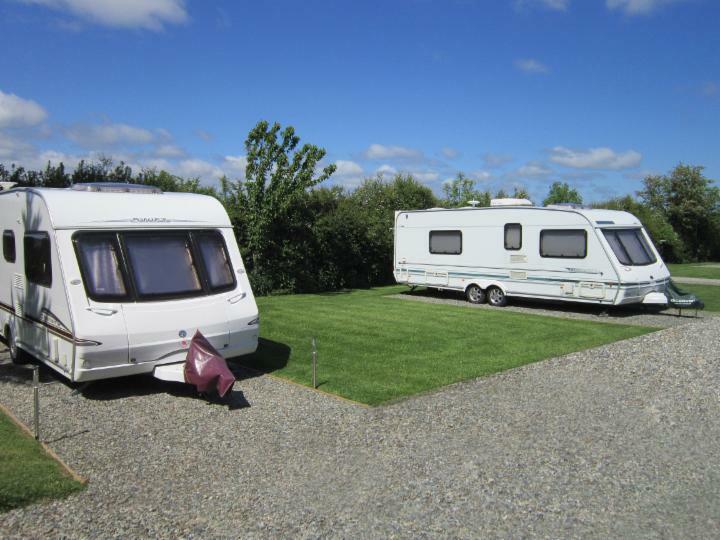 The area to the front of the house has 22 seasonal caravan pitches and enjoys panoramic views of Snowdonia. 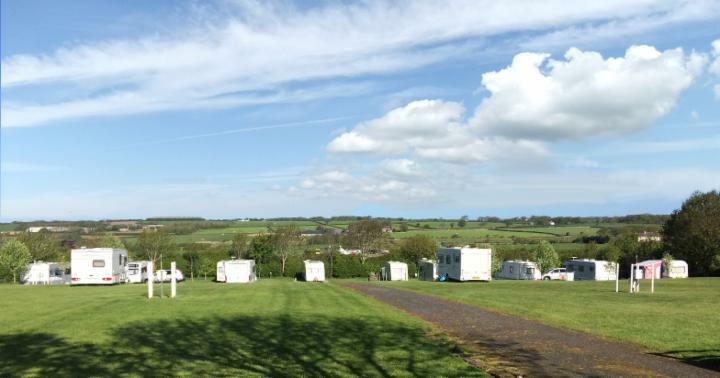 The area to the rear of the house has 29 seasonal caravan pitches plus 6 touring caravan pitches and enjoys views across Anglesey's countryside.